The AX-8MV is an audio video master station for the AX series. 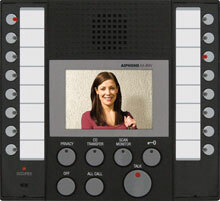 The unit is CAT-5e homerun wired to it's CEU and features a 3 -1/2" TFT monitor, an oversized TALK button to activate the VOX or PTT style mmunication, door call-in indicator, call button for other master stations in the system, a call tone volume control and a button for door release. 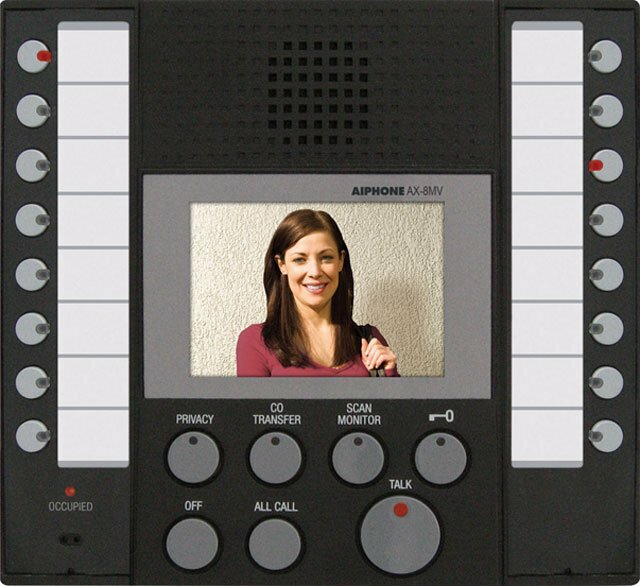 The AX-8MV can communicate to 8 masters and 8 door stations. The Aiphone AX-8MV is also known as AIP-AX8MV	or AX8MV	.